The pineapple is traditionally a symbol of hospitality – or wealth. In Australia it comes in cans and can be found on pizzas and Big Macs. But recently the humble pineapple has become somewhat of a style icon, adorning everything in interiors from large format pictures to timber-turned bedposts. So I present to you- a perpetual calendar and two toothpick holders from the 60s. And a real pineapple for comparison purposes. 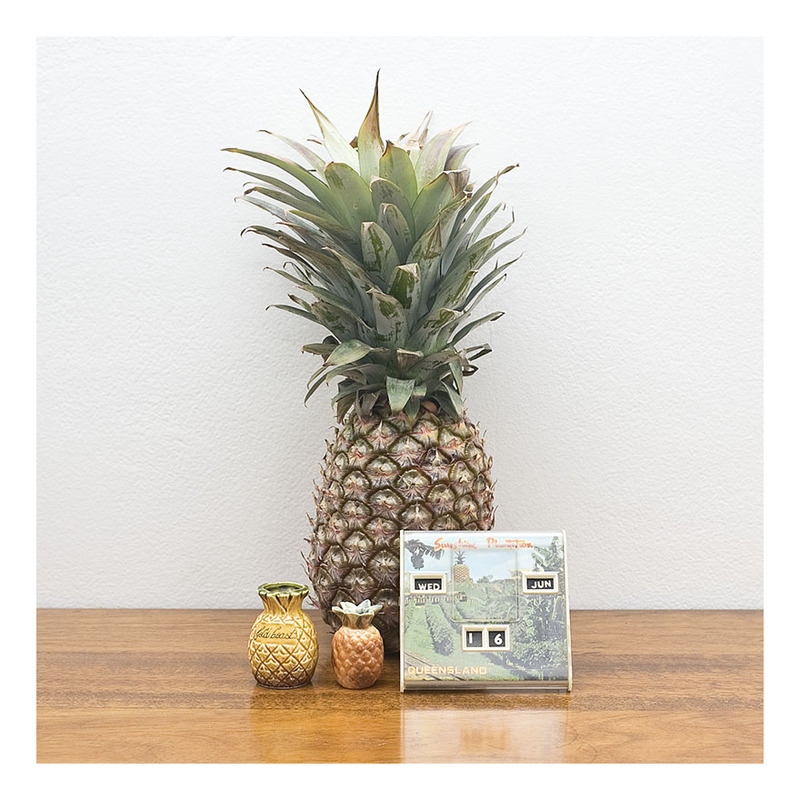 Add to your burgeoning pineapple collection, or begin one with these beauties. Every desk needs a perpetual calendar- and every office a toothpick holder upcycled to thumb-drive storage. You just can’t have too many pineapples!